Since its spin-off of PayPal, eBay has played a key role in shaping public discussion on hot-button issues from the Confederate flag to anti-LGBT laws. And its CCO is helping to redefine the way consumers see the e-commerce marketplace -- both online and off. 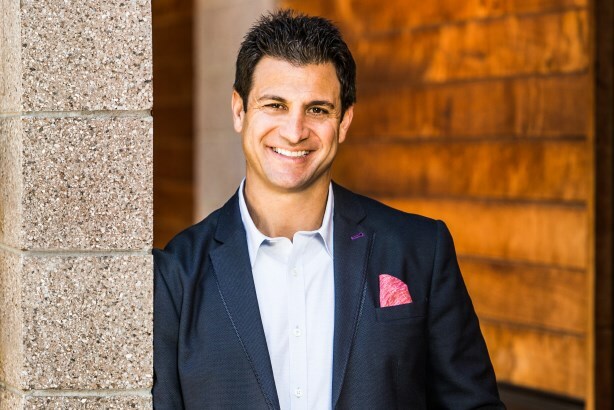 When Dan Tarman departed financial services company Pimco to join eBay as SVP and CCO in June 2015, the online marketplace was one month away from spinning off PayPal into a separate, publicly traded business. Essentially, this meant Tarman was taking on a new role at the company. 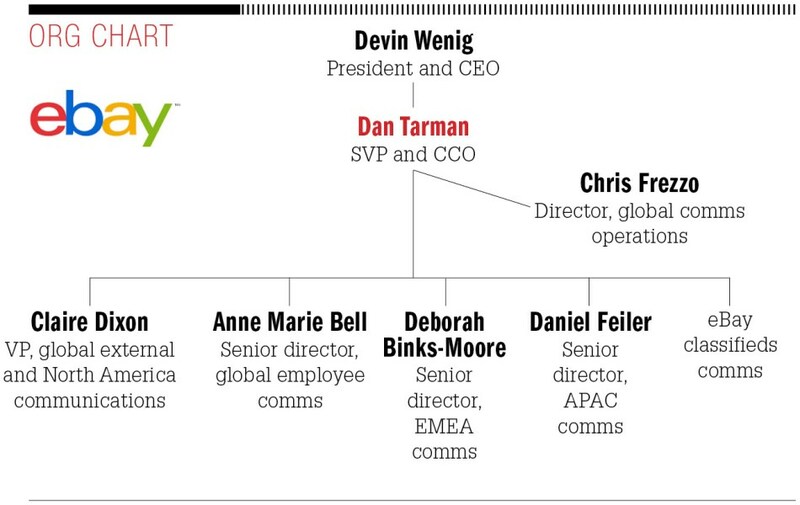 His predecessor Alan Marks had overseen communications for both eBay and PayPal, but Tarman was tasked with focusing solely on eBay’s global comms function. Already expecting to walk into a whirlwind in his first day on the job, Tarman found himself having to quickly make a tough decision for eBay just three hours in. The CEO Devin Wenig called Tarman into his office to discuss whether or not Confederate flag sales should be banned from the site. Just weeks before, the racial shootings in South Carolina had occurred. That morning, brands such as Wal-Mart had started pulling the Confederate flag from shelves. "The issue was exigent and we had to do a quick analysis about whether we would continue to sell the flag on our site," says Tarman, who reports to Wenig. He looked at several filters: Whether or not the issue was relevant to eBay’s business; if it impacted eBay’s values as a company; if it was a matter where public policy considerations could affect the organization’s business; if eBay’s decision would impact its customers, buyers, or sellers; and if it was a broader societal issue. Based on this criteria, eBay made the decision to ban the Confederate flag from its site the next day. Tarman notes that immediately following eBay’s announcement, a host of other retailers, including online competitors, followed suit. And within two weeks, the flag was removed from the State House in South Carolina. "Companies such as eBay and others played a vital role in framing the public discourse on that issue," Tarman says. "Not every issue happens that way, but we are a marketplace represented by a broad cross-section of society; with every decision we take, someone will be displeased." Another issue aligned with eBay’s culture and values was advocating, as a corporation, for the repeal of the anti-LGBT law in North Carolina in March. "[That action] was reflective of the diversity in our community and it is important for us to speak out on these kinds of issues," he says. Ebay makes an effort to live the values it cares about and Tarman explains that the company has an "authentically" diverse community and culture that it is constantly celebrating and trying to enrich. "One of the key [initiatives Tarman has created since joining was] the eBay framework for diversity and inclusion," says Kristin Yetto, its chief people officer. "These span from creating a policy within the company to hiring our new chief diversity officer." Last year, eBay sponsored Out and Around, a documentary produced by the company’s director of geo customer solutions and insights, Jennifer Chang. She and her wife took a year off from their jobs to travel to 15 countries in search of people leading the movement for gay, lesbian, and transgender equality. 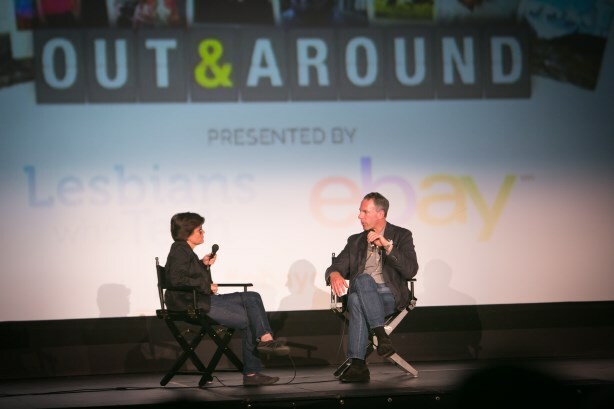 Ebay hosted a screening of the film in partnership with Lesbians Who Tech. At the event, Wenig sat on stage with Re/code journalist Kara Swisher to discuss workforce diversity in front of a crowd of 1,000. "We were on stage, as a leader, talking about those issues," notes Tarman. One year into the job, Tarman says his efforts to build eBay’s new comms function have gone "smoothly." At its core, he explains, the department has three priorities: consumer, corporate, and employee communications. Edelman is the company’s PR AOR. "We are focused on engaging consumers globally with our brand to further ignite the top of a funnel of consumer consideration; communicating and demonstrating the execution of our business strategy to a broad range of stakeholders; and helping accelerate culture change within for our employees," he says. Although direct customer service does not fall under Tarman’s purview, eBay users do occasionally tweet to him or figure out his contact information and call him on his cellphone — and he responds. "There have been instances where I have fielded a call or received a letter from a customer and made sure that person got in touch with our customer service reps for them to address the issue," he adds. Additionally, as chair of the eBay Foundation, Tarman oversees the company’s global impact and CSR work. "My scope is global, so across the full spectrum of comms, ultimately everyone rolls up to me," he says, adding that there are regional comms leads in Asia and Europe. There are roughly 75 staffers on eBay’s PR team globally. When it comes to global issues and legalities, Tarman says the company works closely with local regulatory authorities in every jurisdiction in which the company operates. So in terms of the scrutiny it has come under for allowing overseas sellers to carry out transactions deemed "illegal" due to tax evasion, Tarman says the company is working with policymakers and regulators to make sure eBay is "doing the right thing." To keep everyone connected, the team has a monthly global huddle via videoconference. A monthly power lunch series is also held, which involves an internal guest from a different team, or an external person — such as head of advertising at Airbnb — who is invited to discuss brand strategy, for example. Tarman says he also takes team members at different levels out for one-on-one breakfasts to find out what they are focusing on, what he can do better as a leader, and what the unit can improve upon as a team. "Part of my focus is making sure we are a continually learning organization with an aim of us being thought leaders broadly as communicators, not only within eBay, but also in the industry," he says. Along with forming a new comms function at eBay, Tarman also aided the company’s celebration of its "rebirth" by engaging employees with a campaign timed to the day it split with PayPal. The effort, called #WeAreeBay, was internal, but the hashtag was used more than 2,000 times by employees on day one of the split, with close to half of those occurring on Instagram. The @eBay_Newsroom Instagram account liked more than 400 of these images, doubling its followers and dramatically increasing engagement on the account, Tarman says. The company celebrated its 20th birthday in September with a two-day summit held at the San Jose Convention Center. The event focused on eBay sellers, but the company also provided customers with 20 days of deals, featuring discounts on select items. "These events were meant to celebrate our 20th anniversary, but also to re-engage the outside world as the new eBay and to have our employees be a central part of that," Tarman says. "It gave us a chance to restate who we are and set us on course for the next phase in eBay’s history." Most people perceive eBay as a place to find used or vintage items — a major misconception, according to Tarman. "More than 80% of the products on eBay are new," he says. "So for us, it is a significant brand transformation for people to consider the company in ways they might not have in the past." One way eBay is communicating this message is with the launch of new vertical categories on its site. At the end of April, for instance, its wine category launched, offering customers the ability to buy anything from vintage to regional wines at a variety of price points. Tarman says wine as a new vertical fits closely with eBay as an occasion or experiential-driven brand. "[He] has really helped focus and sharpen thinking around the brand and how to tackle common misperceptions in innovative ways," says Claire Dixon, VP of global communications at eBay. Ebay is also making it easier for customers to shop on its site. Since last fall, Tarman and his team have been working on a new brand positioning, focused on enabling every customer on the site to find their individual "version of perfect." In the past, if a consumer wanted to buy something on eBay, they would have searched for "iPhone," for example, and received a random selection of listings. But, since last summer, eBay has been updating its site so buyers can specify what they are searching for — in the case of the iPhone, they can now input what brand, model, color, and carrier they want. "It is about [enabling customers to find] the right product at the right price shipped at the right time," he says. "That’s our brand and how we are positioning ourselves. We are creating mindshare around that and expressing that through a variety of comms programs." In terms of engaging consumers, eBay is increasingly using gamification to tell stories. On Thanksgiving, it engaged with consumers by placing various potential deals on social media and having them vote for which ones they preferred. Whatever deal got the most votes was made available for a limited amount of time. Additionally, eBay leverages its own data to target younger consumers around key retail moments. "One of the benefits of having over 160 million users is we’ve a huge pool of data we can draw from to inform how we engage and how we communicate," he says. During the Super Bowl season, eBay used this data to generate a heat map based on what fan gear people were buying, and what teams’ fans were located where. The company’s strategy is centered on creating an engaging product experience for customers, removing friction from the experience on its platforms, and evolving perceptions of the brand so people think of eBay "as it is today and as it will be going forward, versus thinking of eBay in the past," Tarman says. Mohamed El-Erian, the former CEO of Pimco, who was Tarman’s boss while he was there, has no doubt the eBay comms chief can handle anything that is thrown at him. "[Dan] is as impressively effective in responding to unanticipated developments as he is in developing strategic initiatives that strengthen comms and the brand in a consistent and comprehensive fashion," explains El-Erian. During Tarman’s time at Pimco, then-CEO Bill Thompson created a center for autism at the University of Missouri. Tarman had no personal connection to it at that point, but when his own son was diagnosed a few years later with autism, he called on Thompson for advice. In 2014, Thompson gave $7 million to help create The Center for Autism & Neurodevelopmental Disorders of Southern California at UC Irvine, local to Tarman’s family. "I worked with them on this interdisciplinary effort with neurologists and public policy people to help create the center," says Tarman. "I also worked with them on the messaging and positioning and on the launch of the center." Tarman, who now sits on the center’s board of advisers, notes that upward of 150,000 children in Orange County are on the autism spectrum and many come from families who do not have the financial means to get the services they need. "This is something that changed my son’s life, so I try to use my comms talent as much as I can to help this center," he says.